1) Go to Gallery > Add Gallery/Images > Add New Gallery. 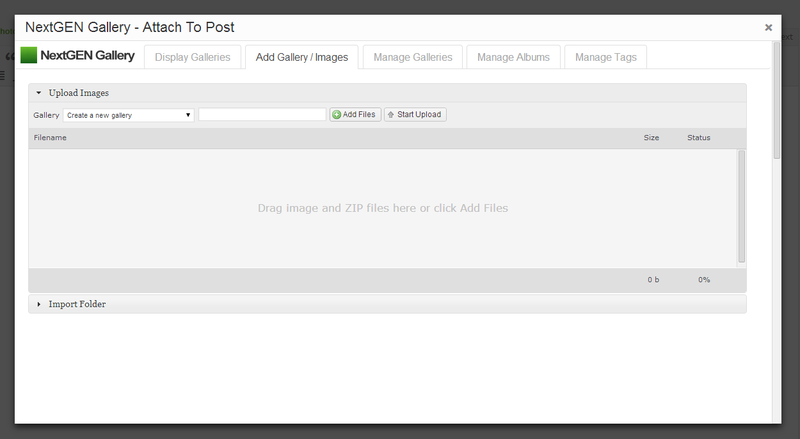 Here you will name the gallery you will be uploading your images too. 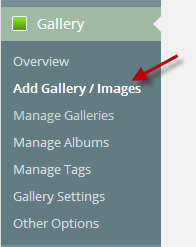 If you are adding images to a previously created gallery, skip this step. a. 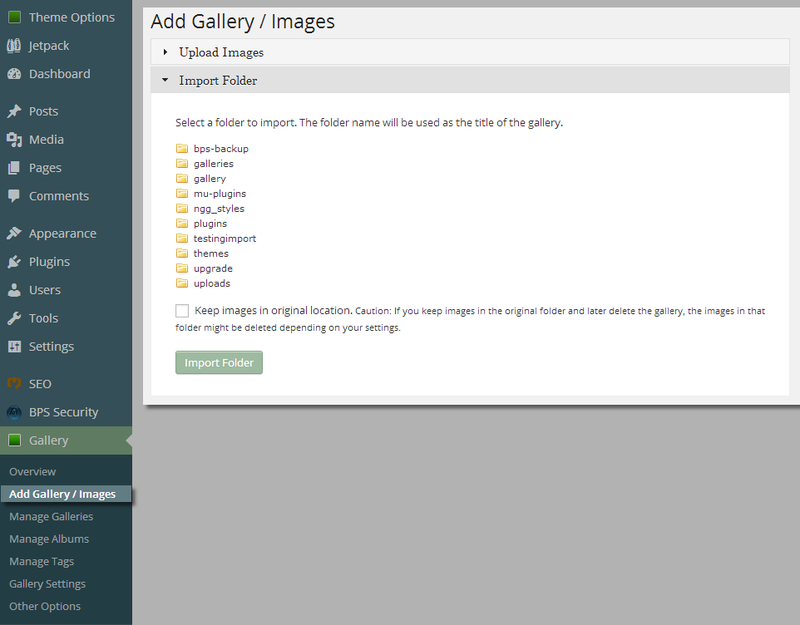 Select a folder to import. 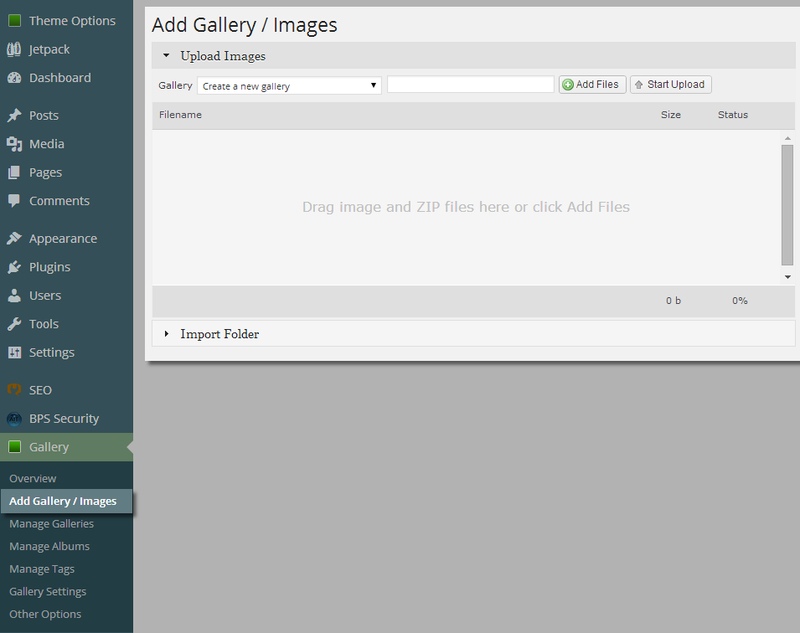 *The folder name will be used as the title of the gallery.